Here’s some positive news for books, book lovers, libraries, and the Library of Congress… an innovative librarian, hip to the digital age, has been nominated by President Obama to be the new leader at the Library of Congress. 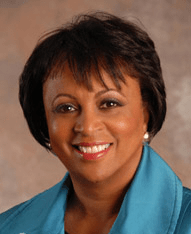 Carla Hayden would be the first woman, and the first black in this life time appointment. Note: the 160 million-item collection at the Library of Congress has yet to be digitalized. Good luck Carla!! (photo and bio below from Wikipedia).